How to avoid a disclosable criminal record if pleading guilty or on being found guilty of a criminal offence? The modern workplace invariably requires an employee to disclose any past criminal conviction(s). All things being equal, employers will generally not even consider a person for employment if they have a criminal record. As Barrister Chambers we hear this time and time again. 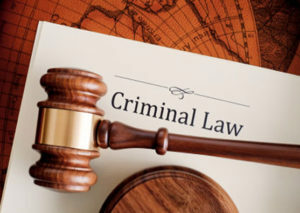 However, the criminal justice system in Western Australia recognises that a person should sometimes be given a chance where a person has committed a criminal offence and the person is unlikely to ever commit another offence in the future. Criminal offences can include serious traffic offences. But it is always very difficult to avoid a criminal conviction being recorded against your name if you either plead guilty or are found guilty of a criminal offence. 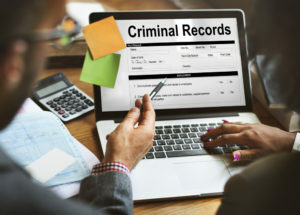 Normally a person must wait 10 years before he or she can apply to have their criminal record expunged or, as the terminology goes in Western Australia, have the convictions declared “spent”. Much better to consider this; that at the time of pleading guilty or on being found guilty, and while being sentenced, the offender (usually through their lawyer) can apply for what is called a “spent conviction order”. This, if successful, has the effect that the offender can immediately be relieved of the adverse effect that having a criminal record would entail: s45 Sentencing Act 1995 (WA). The Sentencing Act 1995 (WA) works in conjunction with the Spent Convictions Act 1988 (WA). If a “spent conviction order” is made upon application, it means that an offender does not have to disclose the “spent conviction” to an employer, a government agency or any person where “good character” is an issue: s25 and s27 Spent Convictions Act 1988 (WA). There are exceptions to this for people who are in the police force, are prison officers, or are teachers, amongst others. If in doubt, seek legal advice to ensure that there is not actually a requirement to disclose the spent conviction. What material should be presented to the Court to support an application obtain a “Spent Conviction Order”? If you send in an “endorsed guilty plea” and do not go to court in person you will not obtain a spent conviction order. it considers the offender should be relieved immediately of the adverse effect that the conviction might have on the offender: s45 Sentencing Act 1995 (WA). The effect on your employment of a conviction (that is, whether you will lose your job) is an important factor, as is your age. A young person will more readily obtain a spent conviction order. Most of the spent conviction orders are granted by the Magistrates’ Court which deals with less serious matters. We know of only one case in recent times where the District Court of Western Australia granted a spent conviction order. The circumstances of that case were extremely unusual. Almost all spent conviction orders are granted after a guilty plea. That is seen as an example of genuine remorse. It also means that court time has not been wasted unnecessarily. The moral of the tale? Seek timely legal advice via a criminal barrister prior to sentence and act appropriately, if potentially eligible for a spent conviction order, to seek to avoid a career and earning potential blighted to a considerable degree by mandatory disclosure of a criminal conviction when this may not be required under the law.